There’s a reason the British came up with the phrase “raining cats and dogs”, and for why Germany appears to perpetually be in a bad mood. Western Europe receives a lot of rain. To be exact, London gets on average 630 liters per square meter (1 l/m² = 1 mm), Berlin 566 mm and Amsterdam tops both, at 810 liters annually. But why’s that? Simply put, the reason it rains so much is because all of western Europe is close to the ocean – you are usually less than a thousand kilometers from the next coast, and on a global scale, that is almost no distance, nor is it for the humid air moving in from the Atlantic. This air eventually deposits most of its water in western Europe. In more scientific terms, Western Europe is classified as having a “temperate climate”, meaning that there are four distinct seasons, with warm summers and cold winters, and that there is precipitation year-round. The British Isles, the BeNeLux, Germany, Denmark, the south of Sweden, south and west of Norway, all of Germany, Austria, Czechia, and much of Poland and the inland of the Balkans as well as the north of Spain fall under this classification, as do the western coasts of Iceland and the Baltic states. Further to the east, continental climate takes over, which is a lot drier than Western Europe’s rainy weather, and in the south, along the coasts of the Mediterranean, Mediterranean climate persists, with hot, dry summers and cooler, rainier winters. Generally, the further east you go, the drier it gets, as the moisture-laden air from the Atlantic needs to cross larger areas of land, therefore typically losing its water on the way before continuing into areas such as Belarus and Russia. North than Toronto, and even 1° further north than Alaska’s southernmost city. Nevertheless, temperatures rarely drop far below -5°C in winter, and commonly exceed 25 and even 30°C in summer. 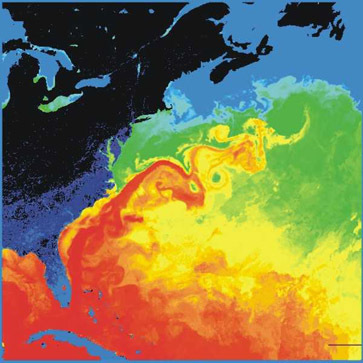 A key contributing factor to the mild weather in Europe is the Gulf Stream – an ocean current that transports warm water from the Caribbean and the Gulf of Mexico all the way to the Northern Atlantic – both increasing Europe’s temperature, and providing the fuel for low pressure systems (bringing rain) and storms to form over the ocean, only to move eastwards and towards Europe. There is one final piece to unlocking the puzzle of why Europe is so wet, and that goes by the imposing name of “polar front”. In meteorology, a front is the place where two air masses (areas of air with different properties, usually temperature) meet. In the case of the polar front, warm, moist air from the south clashes with cold, moist air from the north. 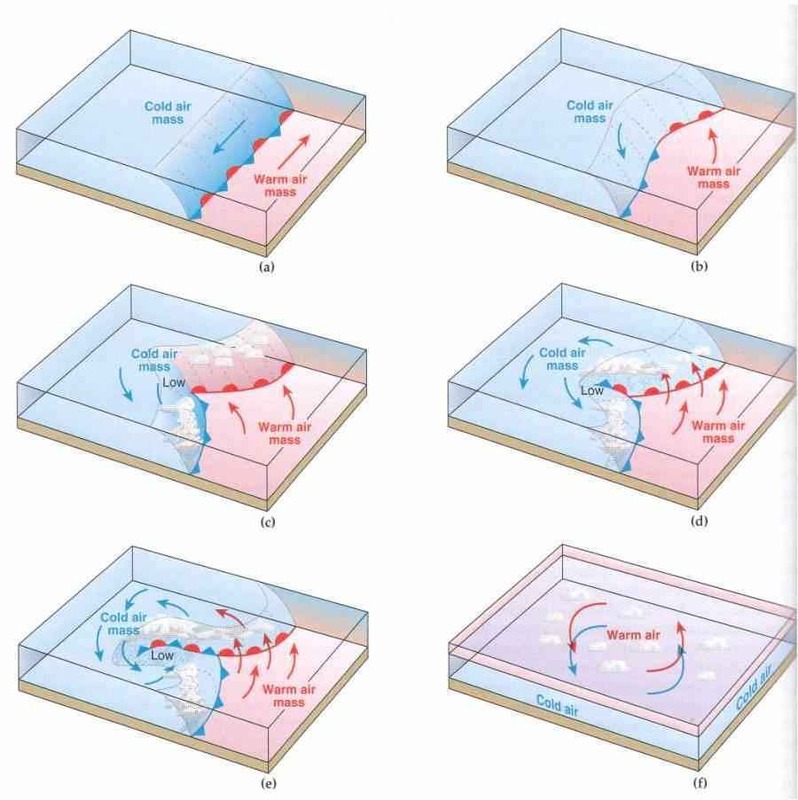 When air masses clash, they shove each other around and lead to the formation of weather patterns. 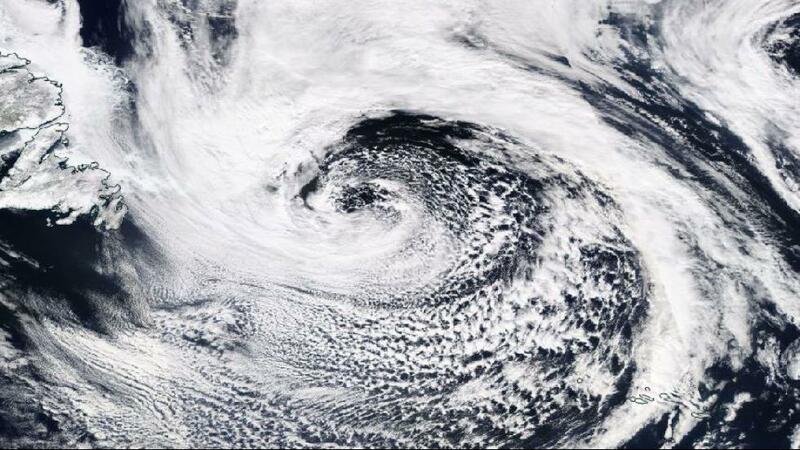 In this case, low-pressure systems are formed (which has the fancy name of cyclogenesis). 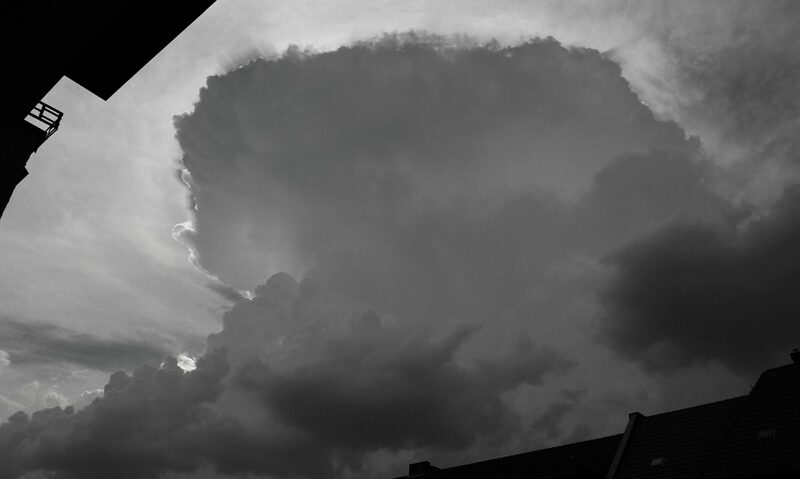 And low-pressure systems typically pack rain.